Need a baby gift? 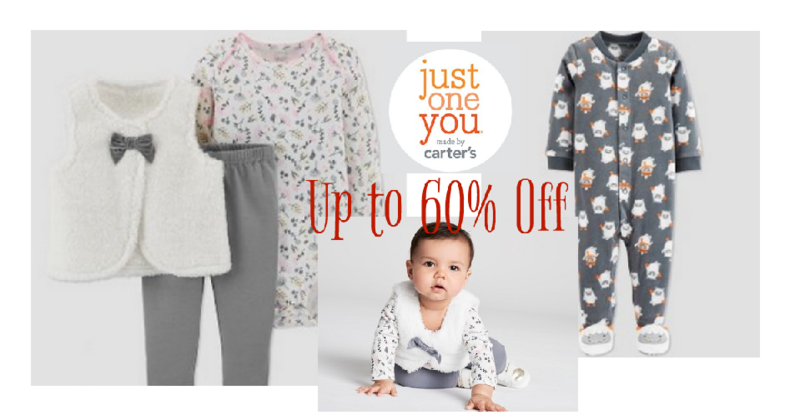 Right now, both in-store and online, Target has select Just One You by Carter’s apparel items on sale. Most items are 50% off while some as much as 60% off. Sizes are limited, but check out the PJs and 3-piece sets to see if they have your size available. Offer valid for a limited time. Shipping is free with Redcard.